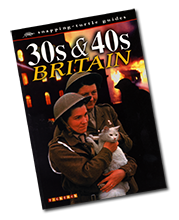 A look into the past to reveal life in the 1930s and 1940s and the historical events that were to shape British society. These two decades of British history saw times of peace and prosperity for the upper classes, mass unemployment and hardship for the working classes, and a war that was to devastate the lives of all. Over 100 photographs, illustrations and memorabilia, this era is recaptured for old and young alike.